The breeding of sturgeons for the production of caviar allows the return of this exceptional fish to the great tables and contributes to its preservation. 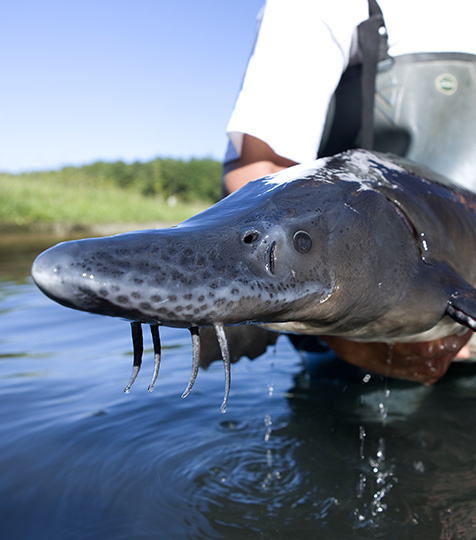 As such, Sturgeon is involved in the preservation of European sturgeon and its reintroduction into the natural environment. The Sturgeon fish farms, fed by naturally healthy springs and rivers in Gironde and Charente maritime, offer ideal ponds for sturgeon, which find large spaces to develop, feed and evolve serenely. Respect for the ecological balance is at the heart of our concerns, with particular attention to water and the well-being of fish to offer you an irreproachable and natural product.